SANTA FE – A lone bird at Bosque del Apache National Wildlife Refuge has tested positive for a highly pathogenic avian influenza strain that affects wild and domestic fowl, but is not known to be harmful to humans, officials announced. A cinnamon teal duck was one of 196 birds tested at the refuge for the disease that was first detected in the United States in late 2014. It was the first bird in New Mexico to test positive for the highly pathogenic strain. It is unknown whether the duck was migrating through the state. Most migratory birds have left the refuge for their northern nesting areas. 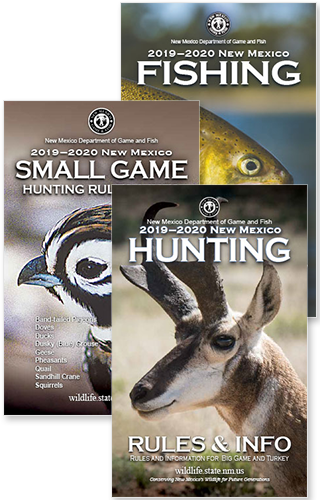 Dr. Kerry Mower, wildlife disease specialist for the New Mexico Department of Game and Fish, said although the disease poses no threat to humans, people should take precautions to protect their domestic flocks of chickens and other birds. The best way to do that, he said, is to isolate domestic flocks and avoid contact with wild birds. The strains of the avian flu virus that have been found in the United States are not the same as the virus strain that has infected humans in Asia, Africa, the Pacific, Europe, the Near East and Canada. Infected birds are not known to pose a threat to hunters, but people who handle wild game always are advised to take normal precautions to avoid disease and insect pests. Do not harvest or handle wild birds that obviously are sick or found dead. Wear rubber or disposable latex gloves while handling and cleaning game or cleaning bird feeders. Wash hands with soap and water or alcohol wipes immediately after handling game. All game should be thoroughly cooked (internal temperature of 165 °F). Dogs used in wild bird hunting are not considered at risk of acquiring avian influenza and there have been no documented cases of the virus infecting dogs. No cats have been documented with avian influenza in North America. Dog and cat owners should consult their veterinarian for more information about influenza in pets. The U.S. Department of Agriculture’s Animal Plant and Health Inspection Service encourages all bird owners, whether commercial or backyard producers, to practice good biosecurity, and prevent contact between their birds and wild birds. People are also urged to report sick birds or unusual bird deaths to New Mexico State Veterinarian Dr. Ellen Wilson, DVM, at 505-841-6163 or to USDA at (866) 536-7593. More information about biosecurity for backyard flocks can be found at http://healthybirds.aphis.usda.gov/.